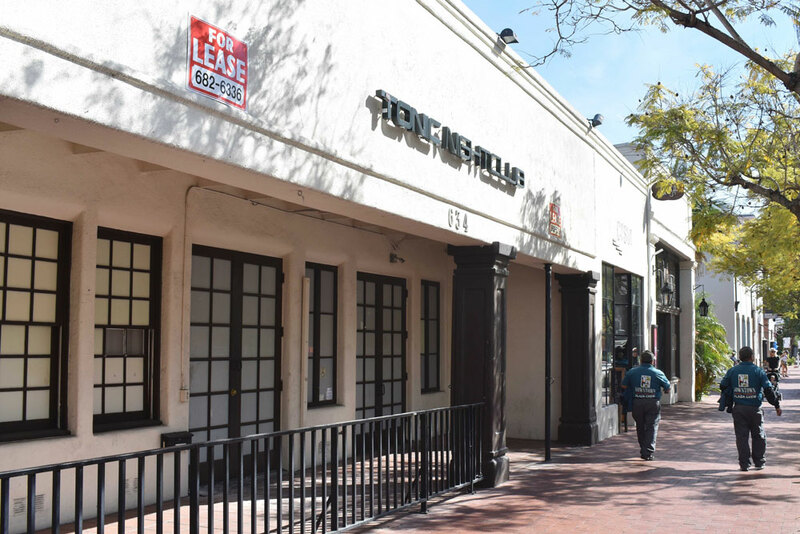 By Brooke Holland, Noozhawk Staff Writer | @NoozhawkNews | February 2, 2018 | 5:34 p.m.
After more than 12 years in business, Tonic Nightclub in downtown Santa Barbara is closed, an employee said Friday. The approximately 6,500-square-foot venue and patio area at 634 State St. permanently shut its doors Jan. 28, said Joel Cummings, who has been a bartender and a promoter at Tonic for more than a year. “We had our schedule for the upcoming weekend, but they told us on Jan. 30 that we would be expecting our last paycheck, and it’s closing down for good under new ownership and management,” the 27-year-old Santa Barbara City College student said. Lease signs have been posted on the front entrance, and Tonic’s signage remains on the front of the building. Tonic employed more than 30 people, Cummings said. He said the loss of business during December's Thomas Fire and the aftermath of the Jan. 9 mudslides could have led to the restaurant closure, which could not immediately be confirmed. Santa Barbara Chamber of Commerce President Ken Oplinger said Tonic is not a member, and the business organization has not heard of a reason for the closure. Yelpers indicate on the restaurant and business review site that Tonic is closed. Tonic is neighboring Blush Restaurant & Lounge, which shut its restaurant to become an events venue in 2017, and sits across the street from the vacant Macy's in Paseo Nuevo.